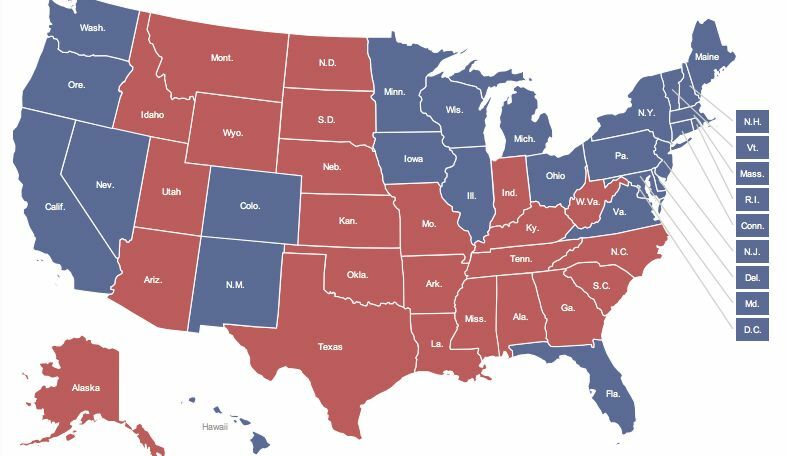 Final 2012 Electoral College Map. Obama managed the unlikely feat of winning 8 of the 9 swing states, losing only North Carolina. Not bad considering the challenges he faced. The Democrats picked up of two seats in the Senate in an exceedingly difficult year, with the class of 2006 defending their seats. Scott Brown out in Massauchsetts, Claire McCaskill and John Tester re-elected, Tim Kaine takes the seat that Jim Webb won by less than 10,000 votes in 2006, an unlikely Democratic win in North Dakota, the first openly lesbian Senator in Wisconsin…. No one would have predicted these results earlier in the year. The House elections were less fruitful, in no small part a result of Republican gerrymandering that allowed Republicans to keep a 40 some seat majority even though they garnered less vote share than Democrats. One small ray of sunshine on this front is that some of the most annoying Tea Party candidates like Joe Walsh and Alan West are on their way to defeat (Michele Bachman managed to escape by about 400 votes).